§ 1.1.1. V. Scheil published in RA 12 (1915) 161-172 a text under the title “Le calcul des volumes dans un cas particulier à l’époque d’Ur.” The text is dated to the 4th year of Amar-Sin and comes, so Scheil, from Umma. He characterized it as “un relevé de fournitures (de briques), récapitulées d’après diverses tablettes séparées.” It consists of a list of receipts of bricks arranged in twelve sections. Ten sections give linear measures that define volumes and the corresponding number of bricks, two sections give only the number of bricks. The grand total amounts to 61,812 bricks. The subscript connects them with the cult place Gaeš in the vicinity of Ur. § 1.2.1. The numbers in the text, especially the relationship between the measurements of lengths, widths, heights, and numbers of bricks have attracted scholars in the field of Mesopotamian mathematics. O. Neugebauer and A. Sachs cited it, under the label AO 7667, in connection with their discovery that the measure “plot” (sar), the brick sar, as it is usually called, designates a unit of 720 bricks, which was divided into “shekels” (gin2) of 12 bricks each (MCT, pp. 95-96). Neugebauer and Sachs were interested in the nine preserved sections that matched linear measurements with brick numbers. They say “this text contains nine entries concerning piles of bricks, four of which we do not dicuss here because of the occurrence of a term the exact significance of which we are unable to grasp.” Each entry consists of two sets of linear measurements and one number of bricks. 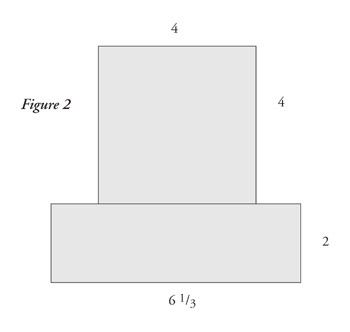 Neugebauer and Sachs understood the two sets to represent two piles. They computed their volumes and determined the brick size. It was 2000 cubic fingers, measuring 20 × 20 × 5 fingers, which they labeled as type 4. § 1.3.1. M. Powell updated the information on various brick types, re-labeled them and tabulated them with the coefficients that allow conversion from volume to number of bricks and viceversa, and extraction of other data such as weight and number carried by a day laborer over a set distance (“Metrological Notes in the Esagila Tablet and Related Matters,” ZA 72  119). Type 4 of Neugebauer and Sachs became type 8 of Powell. He quoted AO 7667 as an example of the usage of brick metrology “in the regular business of the governing bureaucracy,” specifically “in architectural planning” (l.c. 117 with note 47). § 1.4.1. The “term the exact significance of which” Neugebauer and Sachs were “unable to grasp” and which thus forced them to exclude four entries from their consideration is ba-an-gi4. It appears as qualification of a number within the list of linear measurements defining volumes. Three times it follows the width, once it follows the height. It took exactly half a century until E. Robson made sense of it and published her discovery in her dissertation (see now the printed version Mesopotamian Mathematics, 2100-1600 BC, Technical Constants in Bureauceacy and Education (=OECT 14  149). She found that averaging the number qualified by ba-an-gi4 and the preceding number and using the result as factor results in the volume that corresponds to the number of bricks. She expressed the physical reality behind the averaging in the first attestation (see section VI in the tabulation below) as follows: “Average of 0;30, the base, and 0;05, the top, (written ba-an-gi4 because the wall tapers or ‘goes back,’ gi4).” On page 143, she translated ba-an-gi4 as “top (of a tapered wall).” Robson thought AO 7667 “summarizes records of completed work.” She did not take issue with the “piles of brick” of Neugebauer and Sachs, and assumed the volumes were walls. § 2.0.1. Scheil thought that the text constitutes a recapitulation of several separate texts. In the meantime, receipts and promissory notes that duplicate the measurements and brick counts of AO 7667 have indeed been published. A synopsis of the texts that have come to my attention is given in table 1. UTI 5, 3394, after duplicating the measurements of section VI a and b, states: ša3 SIG4.ANŠE 1-a-kam / sig4 u3-ku-ru-um-bi 17 1/2 sar “They (the measurements) are of 1 brick pile. Its baked bricks (amount to) 17 1/2 brick sar.” PDT 2, 1377, after duplicating the measurements of section V a and b, states: SIG4.ANŠE ar-ha u3-ku-ru-um-ma “Brick pile of half-bricks and baked bricks.” Generalizing the evidence of these texts we can conclude that each section of AO 7667, except VII and XII, represents the measurements of one brick pile and the count of its bricks. § 2.2.1. Before considering the relevance of the presence of half-bricks in the brick piles, I make a detour on the word written ar-ha and related matters. The word appears to be an old, that is pre-Ur III, loan from Akkadian arhum. Akkadian arhum means also “cow.” The dictionaries understand arhum “cow” and arhum “half-brick” as homonyms, but the OB logographic writing SIG4.AB2 for arhum “half-brick” is sometimes seen as indicating a single word “cow,” which would designate, for unknown reasons, also the half-brick. W. von Soden writes in AHw arhu III “nach Wortzeichen = arhu II, also Kuhziegel?” Robson, 58, states “‘half-bricks,’ literally ‘cows,’” and Friberg translates “cow-bricks.” The word arhum “cow” is feminine, but masculine gender is attested for arhum “half-brick” if sig4 ar-hu in the Old Akkadian text ITT 5, 9322 spells the plural arhū. If so, arhum “cow” and arhum “half-brick” are homonyms. Sumerian may not have had its own word for half-brick and borrowed it from Akkadian early on, and scribes invented the logographic spelling SIG4.AB2 on the basis of this homonym. § 2.2.3. The same thing appears to have happened to the word for brick-pile, which is amārum (not amarum, as posited in the dictionaries, because of Proto Izi I 261-262 and 267 [MSL XIII 26]: SIG4.ANŠE a-ma-a-rum, SIG4.DU3 a-ma-a-rum) in Akkadian, and was written pseudo-logographically SIG4.ANŠE on the basis of the near-homonymity imāru “donkey” and amāru “brick-pile,” as suggested already by Robson, 67. I would expect that Sumerian borrowed the Akkadian word, probably in the form *amara. § 2.2.4. Returning to the designation of the bricks of section V as “half-bricks” (ar-ha) and “baked (square) bricks” (u3-ku-ru-um), it appears likely that all brick-piles of AO 7667 consisted of an admixture of half-bricks. They were needed in any case for corners, ends and other special areas of the future brickwork. In the count, two were counted as 1 full brick (u3-ku-ru-um). § 2.2.5. The contrast between “baked bricks” (u3-ku-ru-um), which are full bricks measuring 20 × 20 × 5 fingers, and half-bricks (ar-ha), which measured 20 × 10 × 5 fingers and presumably were also baked, is attested in the OB mathematical problem text YBC 4607 (see Robson, 58, and Friberg, 87). § 2.3.1. Friberg’s models of what he believed to be brick walls are not the only solutions. 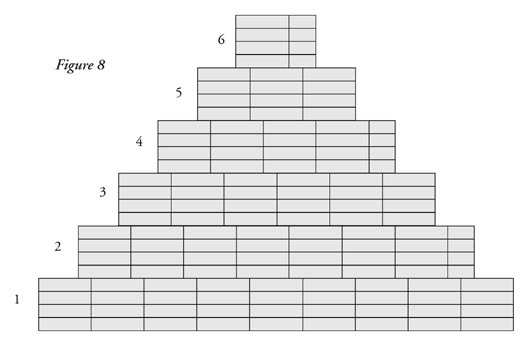 Since the measurements describe brick piles, it appears more natural to center the upper parts above the lower parts (see figures 2, 4, and 6). 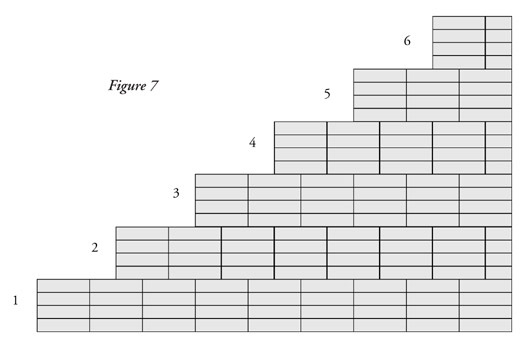 I have sketched models in figures 7-9 of how the upper part of the brick piles might have been stacked. 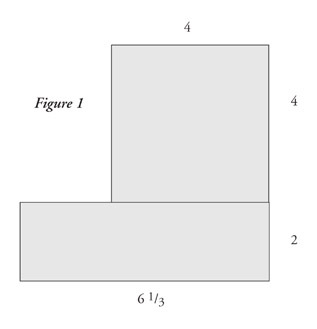 Figure 7 shows a section of a brick pile of the first configuration according to Friberg’s model, figure 8 according to my alternative. Figure 9 shows the central column and the left half of the upper part of the third configuration. In constructing the models, I have used only half-bricks were they are needed to conform to the measurements of the upper part of tapering brick piles. I suspect that many more half-bricks were included. I assume that the bricks were laid down rather than stood on end, and, following a suggestion of R. Englund, have avoided the formation of columns for added stability. § 2.4.1. 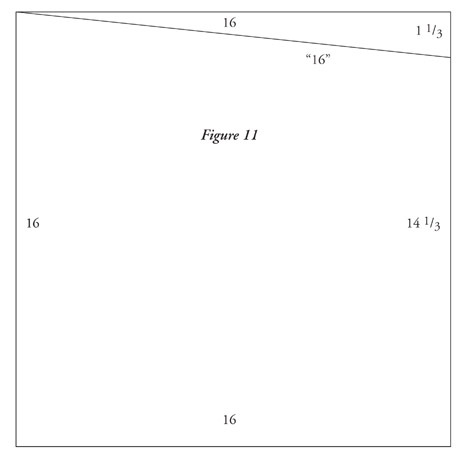 Looking at the models of the sections and the side view of brick piles, an explanation or the absence of any record of the volumes in AO 7667 appears. Friberg, wondering about that lack, said “since the volumes are not explicitly mentioned in the text, they must have been recorded somewhere else.” Neugebauer and Sachs, Robson, and Friberg assumed that the ancient scribe, like them, measured the bodies of brick, computed their volumes and converted the volumes into numbers of bricks by applying the appropriate coefficient for the type-8 brick (2;42). When comparing the calculated volumes with the numbers of bricks given in the text, they noted discrepancies in 5 cases. I give in table 2 below the number of bricks, and add the sexagesimal notation in parentheses for easy comparison with Robson and Friberg. §2.4.2. Neugebauer and Sachs said of the discrepancy in sections III and VIII “apparently in order to avoid fractions of the gin2.” Robson called the number of bricks in the text “rounded figures” and contrasted them with the “correct value.” Friberg also thought that the scribe “rounded to the nearest shekel” in sections III and VIII. He suspected a mistake of Scheil’s copy in section VIII and did not comment on the discrepancies of sections IX and × . § 2.4.3. I believe the volumes do not appear in the text because the scribe never computed them. He counted the bricks that were visible at one end of the pile. What he saw represented 20 fingers, or 2/3 of a cubit, of the length of the pile. He measured the length of the pile, computed the number of 2/3-cubit sections and multiplied it with the bricks visible. If there were bricks missing from the pile, which was easy to see, he subtracted them. § 2.5.1. Neugebauer and Sachs, Robson, and Friberg were interested in the metrological aspects of AO 7667. The text is also interesting in other aspects, especially as source for the execution of a royal construction project in the Ur III kingdom. Each of the 12 sections of the text is subscribed with the formula DUB PN, which means literally “tablet of PN” when DUB is read dub, or “seal of PN” when DUB is read kišib3. In either case, the subscript designates a tablet on which PN rolled his seal and therewith recorded the receipt of the goods mentioned in the text of the tablet. The recipient and the receiver are in most cases the same person. But the document PDT 2, 1377, which duplicates section V, states that the bricks were received (šu ba-ti) by Lukala, the executive officer (šabra) of “dNin-uru-a-mu-DU,” and that (the receipt) was sealed with the seal of Girini-isa (kišib3 giri3-ni-i3-sa6-ga ib2-ra), while Girini-isa appears in the formula DUB PN and Lukala goes unmentioned in the account AO 7667. § 2.5.1.2. AO 7667 was not sealed, but the additional sources were sealed. The seal legends show that Girini-isa, Dayyan-ili, Lukala, and Šulgi-ezen were scribes. Lukala was in addition an executive officer (šabra). Iddin-Ea (i-ti-e2-a) was according to his legend a “servant of Enki.” The other persons appearing in the subscript DUB PN may or may not have been scribes. Šu-lulu was employed by the god Ningublaga, the city of Sippar, and the governor of Adab. § 2.5.2.1. They are mentioned in the subscript of each section of the text after the name of the person in the formula DUB PN. The relationship between employee and employer is designated as “man of” (lu2). The employee in section II is identified as “brother of the executive officer of dNin-[ ], which may or may not mean that the executive officer of dNin-[ ] was the employer. § 2.5.2.2. The table is split into two divisions. A certain Lugal-magure was the responsible official for sections I-VIII, Lu-dingira for sections IX-XII. § 2.5.2.3. The gods Enki and Ningublaga were the immediate employers of the persons in the formula DUB PN. The god An employed Beliya through his executive officer. dNin-a-mu-DU was probably a person. A god of that name is not attested. There exists a personal name dŠara2-a-mu-DU. A. Limet, L’Anthroponymie Sumerienne dans les documents de la 3e dynastie d’Ur (Paris 1968) 309, understands it as Šara2 + agentive + mu-tum2 and translates “Šara a apporté,” but the -a in dNin-a-mu-DU shows that his interpretation cannot be correct. A complication is introduced by PDT 2, 1377, where the name is transliterated as dNin-uru-a-mu-DU and by SNAT 346 where it is transliterated as dNin-ha!-mu-DU. dNin-a-mu-DU was perhaps a representative of one or more gods. § 2.5.2.4. The employers in the lower division, probably including section IX, were governors. § 2.6.1. The brick piles listed in AO 7667 were received by gods of cities of Sumer and a governor of a city of Sumer, Adab, and governors of cities of Akkad. So the whole kingdom seems to have been involved. This indicates organization on the royal level, which is confirmed by the use of the “imperial” calender in PDT 2, 1353, 1370 and 1377. SNAT 346 has the subscript “Gaeš Gipar house” (e2 gi6-par3 ga-eški), PDT 2 1353 “to the Gaeš Gipar house” (e2 gi6-par3 ga-eški-še3). In AO 7667 rev. ii 16, ša3 ga-eški, is visible at the end of the line. It may have been indented, in which case the subscript was just “in/of Gaeš.” Otherwise, [e2 gi6-par3] can be restored. The bricks were apparently destined for the construction of the Gipar house in Gaeš on the quay Karzida that is celebrated in the inscriptions “Amarsuen 6, 8, and 11” (see H. Steible, FAOS 9/2 [Stuttgart 1991] 229-238). § 2.6.2. One expects that the bricks came from various parts of the kingdom and were used to build the residence, yet the bricks were received by representatives of clerical and secular powers throughout the kingdom. The bricks could hardly have come from all over the kingdom to be distributed throughout the kingdom. The key to resolving this problem may be found in the role that the governor of Umma played in the project. SNAT 346 states that Šulgi-ezen was obliged to ‘return’ the bricks that had come from the governor of Umma. UTI 5, 3394 states that Lukala swore to ‘return’ the brick-pile of 17 1/2 brick sar, specifying that these were “bricks of the governor of Umma.” He was obliged to ‘return’ the bricks on the first day of the month following the month when the brick piles of sections IV and V, and possibly those of all other sections, including VI, had been received. § 2.6.4. These considerations lead me to the following scenario: the king instructed the magnates of his land to deliver the bricks necessary for building the residence of the En priestess of Nanna in Gaeš. They had the option of letting the governor of Umma deliver their share of bricks, as long as they promised to reimburse him, presumably with goods and services that they could better afford. The deadline for the delivery of bricks to the construction site was the month Akiti of AS 4. The representatives of those who had elected to have their share of bricks delivered by the governor of Umma, went to the construction sites themselves, or sent their scribes, counted their share of bricks, took possession of them, and handed them over to the royal administration. The representative of the governor of Umma received from them notes promising immediate reimbursement. The individual receipts of the bricks that had been delivered by the governor of Umma were collected and copied on the tablet AO 7667, presumably to serve as record for the governor of Umma. § 3.1.1. The text belongs to the collection of the Department of Near Eastern Studies, Cornell University. It will be published soon by D. I. Owen and R. Mayr together with other administrative tablets that record activities in the little known town of Garšana. I thank D. I. Owen, Curator of Tablet Collections, for allowing me to quote and for providing me with access to this unique archive. The occurrence of the term ba-an-gi4 in this text lead to the present article. §3.1.2. The top of NES 48-06-103 is broken, so beginning and end are missing. The preserved part of the text gives the linear measures and volumes of mudwalls (im-du8-a). The subscripts identify the overseers whose workers built the mudwalls. Only the fully preserved sections are documented in table 4. 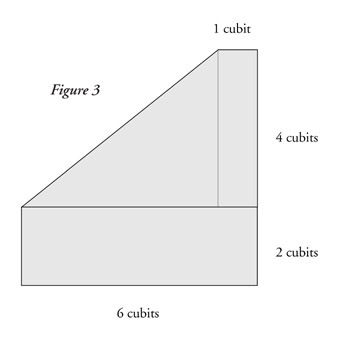 I give all linear measures in cubits. § 3.1.3. The bangi are listed after the width, which means that the walls tapered toward the top. Robson’s formula, length × ((width+bangi)÷2) × height, yields the volumes given in the text. In three cases the volume resulting from the measurements is calculated down to volume grains (še), that is 1/180 of a shekel, and not rounded to the shekel or otherwise. The tapering top of the mud walls may have had the form Friberg assumes for the brick-piles (figure 3) or the alternative suggested by me (figure 4). § 3.1.4. Instead of ba-an-gi4, the scribe wrote ba-an-gi4-bi. In section I b, he had written ba-an- when he reached the end of the line. He erased ba-an-, probably intending to indent it. But he forgot, and indented only gi4-bi. § 3.2.1. The text is the record of a survey of 5 garden plots. A plan is drawn on one side of the tablet. It shows an essentially rectanglar frame. The lengths of the sides and the identification of the adjacent land are written outside and along its four sides. Three sides are 16 poles long, the fourth side 14 poles and 4 cubits. Within the frame is an empty area that is surrounded by triangles and quadrilaterals. The lengths of their sides and the extent of their surfaces is written inside and along their sides. The triangles and quadrilaterals are called “terrains” (ki). The empty area that is surrounded by theses terrains represents the 5 garden-plots. The surveyor did not bother to sketch them individually. The other side of the tablet is inscribed with the text. This side is called the reverse by the editor, A. T. Clay, which may or may not be born out by the shape of the tablet, but its two columns are arranged in the manner of an obverse. The text has the form of a balanced account. The “capital” is presented as the measurements of the frame and the surface enclosed by it. The frame is described as follows: 16 ninda us2 16 ninda sag 14 ninda 4 kuš3 ba-gi4 “16 poles long side, 16 poles front, 14 poles 4 cubits bangi.” The enclosed surface is given as 49 2/3 surface sar 1 shekel “terrain” (ki) and 193 surface sar “field” (a-ša3). From it (ša3-bi-ta), the field and the terrains are deducted. The “field” corresponds to the 5 garden plots that are detailed in the second section. 4 measure 38 sar 36 shekels, one 38 sar 34, or 35, or perhaps even 36 shekels. Clay, who is an exceedingly trustworthy copyist, shows a clear 4 and the stunted head of a vertical wedge set a little higher than the upper vertical wedges that write the numeral 4. The next sign, which is gin2, appears somewhat cramped. The copy gives the impression that the scribe corrected the 4 to a 5 or a 6. 5 × 38 sar 36 shekels = 193 sar, the one number of the “capital.” The terrain of the capital is the total of 6 terrains inscribed on the plan. It is impossible to verify the sum of their surfaces from the plan. The numbers of the upper 3 terrains are fully preserved, namely 10 1/2 sar, 3 1/2 sar, and 12 sar; the number of the terrain on the right side is partly preserved and appears to be 16 2/3 sar 6 1/3 shekels. The surface of these 4 terrains is then 42 sar 46 1/3 shekels. The feeble traces the numbers of the 2 terrains along the lower sides are unreadable. They should have measured 6 sar 34 2/3 shekels. § 3.2.2. The 193 sar of garden plots and the 49 sar 41 shekels terrains amount to a total surface of 242 sar and 41 shekels. How did the surveyor harmonize this surface with the measurements of the frame that encloses garden plots and terrains? He appears to have squared the long sides, that is 16 poles × 16 poles = 256 sar. Then he subtracted the short side from a long side, 16 poles - 14 poles 4 cubits = 1 pole 8 cubits, muliplied this with a long side, which yields 26 sar 40 shekels, and divided this by 2, thus 13 sar 20 shekels. This surface he subtracted from 256 sar and arrived at 242 sar 40 shekels. His computation is based on the wrong premise that the triangle which he subtracted was rectangular. The three equal sides of the frame imply the form of a trapezoid (see figure 10). 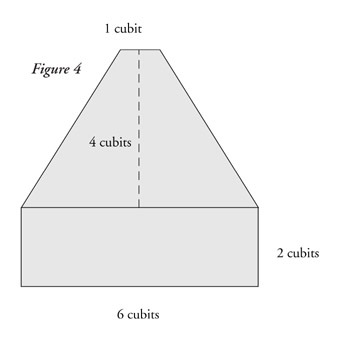 In order to accurately calculate its surface, the scribe would have had to determine the length of the longer of the short sides of the triangles that coincided with the longer side of the core-rectangle of the trapezoid. To do that, he would have had to use the Babylonian equivalent of the Pythagorean principle (see P. Damerow, “Kannten die Babylonier den Satz des Pythagoras,” BBVO 19  232-238). If he knew it, the calculations might have been too tedious for him. 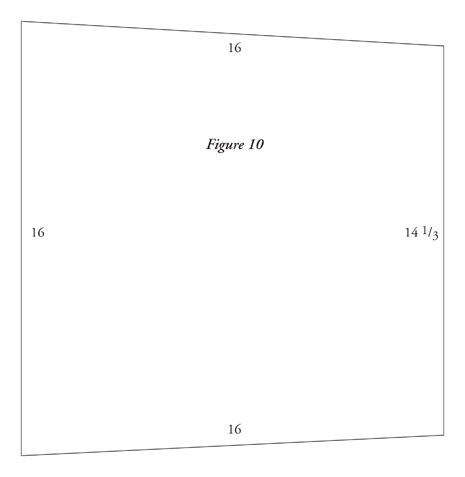 It is more likely that he did not see the frame as a trapezoid, but rather as a square with a triangular section missing (see figure 11). § 3.2.3. The terrain in the upper right corner of the plan also has 3 equal sides of 3 1/2 poles and a fourth side of 3 poles, and must have been a trapezoid, too. In this case, the surveyor used a different method of calculation. He multiplied the short side with a long side, that is 3 1/2 poles × 3 poles = 10 1/2 sar, then he deducted the short side from the longside and multiplied the result with the short side, that is 1/2 pole × 3 poles = 1 1/2 sar, and combined the two results to arrive at 12 sar. § 3.2.4. Returning to the total surface of his plan, the calculation of the surface from the lengths of the four sides of the plan by the surveyor is one shekel short of the total of garden plots and terrains. Presumably, he added up the individual surfaces of terrains and gardenplots and came up with 242 plots and 41 shekels. But when he computed the entire surface from the measurements of the frame, he came up with 242 sar and 40 shekels. § 4.1. Based on the references of ba-an-gi4 in AO 7667, Robson suggested as meaning of the word “top (of a tapered wall).” In view of the 3rd configuration (see §1.5 above), Friberg expanded this meaning to “top or end of a tapered wall.” The appearance of the term in the two-dimensional context of YOS 1, 24, shows that the actual meaning must still be more general. § 4.2. If we paraphrase the physical form that is associated with the term, it designates the tapering from the value mentioned immediately before ba-an-gi4 to the the value that is qualified by ba-an-gi4. 6 kuš3 dagal 1 kuš3 ba-an-gi4 designates a tapering from a width of 6 cubits to a width of 1 cubit, 2 1/2 kuš3 sukud 1 kuš3 ba-an-gi4 a tapering from a height of 2 1/2 cubits to a height of 1 cubit, and 16 ninda sag 14 ninda 4 kuš3 ba-gi4 a tapering from a length of 16 poles to a length of 14 poles 4 cubits. If we paraphrase the method of calculation accociated with ba-an-gi4, ba-an-gi4 designates the averaging of the two values and using the result as factor in a multiplication, and if we paraphrase the geometrical conception that corresponds to this method of calculation–and so links it with with the physical form–, ba-an-gi4 designates the rectangle or rectangles that are double the surfaces of the rectangular triangles whose hypotenuse constitutes the angle of tapering. It may be expected that the actual meaning of ba-an-gi4 is descriptive of one of these three paraphrases. Robson and Friberg proposed that it was descriptive of the physical form. § 5. In the following, a tabulation of AO 7667 with interspersed comments is offered. The column “section” gives Scheil’s numbering first, Robson’s second, Friberg’s third, and mine fourth. Linear measures are given in cubits, bricks in sar and gin2. dub-bi 2-am3 DUB i-di2-e2-a lu2 den-ki-ka. The volume corresponds to 17.33, so 36 bricks were missing from the brick-pile. The volume corresponds to 3.13 1/2, so 6 bricks were missing from the brick-pile. Scheil’s copy shows ud-x-(x) ki, where x (x) looks like lugal. I speculate that x = KIB and (x), which consists of an oblique wedge with 3 superimposed winkelhaken, is the sign NUN that was written obliquely because wrapping the sign around the edge horizontally would have run into space on the obverse that was already occupied by writing. The volume corresponds to 28.35 1/2 and a fraction, so 66 bricks were missing from the brick-pile.